Chartered Accountants Australia and New Zealand (CA ANZ) is calling on businesses to develop codes of ethics, or updated governance guidelines, governing the capabilities of any artificial intelligence tools they use, and for AI algorithms to be designed so they can be reviewed by a third party. CA ANZ has released a report -- Machines can learn, but what will we teach them – setting out its concerns and its recommendations. It looks at the ethical considerations around AI and machine learning, and possible implications on society, business, regulators, individuals, and the accounting profession. The report identifies the downside of AI as risks to privacy, data security, the potential for social reengineering, and the threat to jobs, saying there are no commonly agreed policies or accountability frameworks to control these developments. It notes that the Australian Government has allocated $A30m in this year’s Federal Budget for AI development, including an ethical framework. 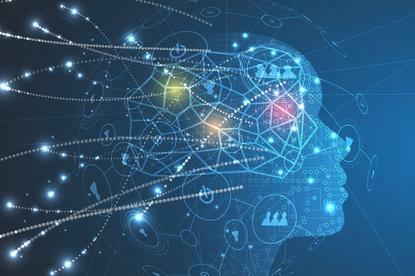 CA ANZ’s business reform leader Karen McWilliams said the world was at an ethical crossroad where the right direction for the development of machine learning and AI needs to be set. "By setting the right ethical framework now, we have an opportunity to design a new AI-enabled world, which could create a more inclusive global society and sustainable economy than exists today,” she said. It said AI was likely to deliver economic growth and productivity improvements but impact some people’s jobs but that New Zealanders should not expect AI to be any different to other technology-driven change in recent times. Researcher at the University of South Australia in partnership with the University of Stuttgart, Flinders University and the Max Planck Institute for Informatics in Germany have developed a machine learning technique that they say can determine people’s personality with considerable accuracy, simply from eye movements. They tracked the eye movements of 42 participants as they undertook everyday tasks around a university campus, and subsequently assessed their personality traits using well-established questionnaires. They claim thee technique was able to reliably recognise four of the big five personality traits: neuroticism, extroversion, agreeableness, and conscientiousness.